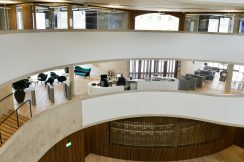 PRODUCT: EasyGate HG SECTOR: Higher Education CLIENT: Blavatnik School of Government LOCATION: Oxford The Blavatnik School of Government is a global school pursuing a vision of better government, stronger societies, and richer human opportunities across the world. 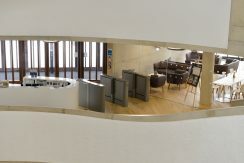 While the School first opened its doors to students in September 2012, for the first three years of teaching, staff, students and academics were located across three separate sites. 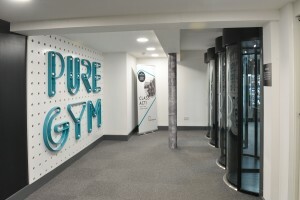 As such, a master development plan was put in place to relocate to new premises which would enable it to undertake the full range of activities on one site. 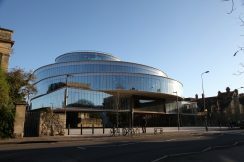 With the new site planned for the Radcliffe Observatory Quarter, a 21st Century hub for the University of Oxford, architects Herzog & de Meuron sought to maximise public space around the building and create a more inviting presence which would draw and welcome visitors into the quarter. 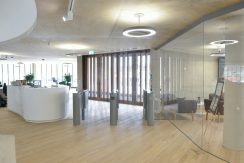 This led to a building design based on a series of shifted discs, establishing a circular ground floor substantially set back from the pavement. 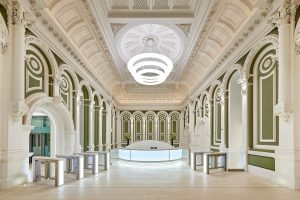 Although the iconic design was sympathetic to its existing surroundings; as the building would host visits from high profile political representatives, the specification had to simultaneously address security requirements. As specialists in balancing aesthetics with security, Meesons designed a bespoke EasyGate HG Turnstile solution to be in keeping with the ultra-modern interior. 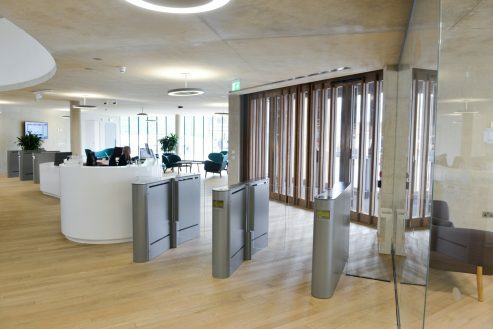 To maintain the inviting feel of the environment, whilst ensuring secure and monitored access, the EasyGate HG solution was designed to blend in with the reception area. This required a specific RAL grey finish for the cabinets with contrasting Corian top and solid cabinet sides. 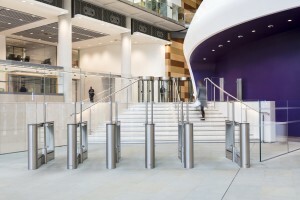 Managing the project through from design to installation, Meesons advised on the specification according to expected throughput; leading to three turnstile banks being installed with two lanes per bank. 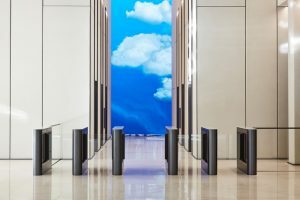 Taking into account that the reception area would be manned whilst entrances and exits further away would be unmanned, the security consultant specified various heights of glass wings – all of which had to provide a consistent 650N holding force. 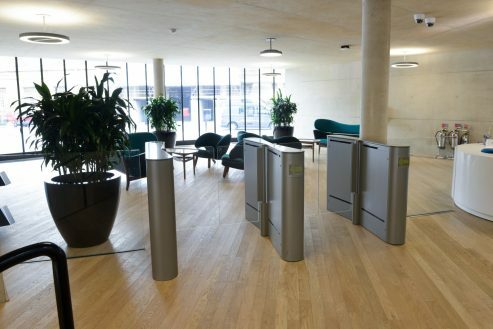 Following the successful handover of the project to the facilities management team at the School, the University of Oxford appointed Meesons to handle the turnstile service and maintenance.